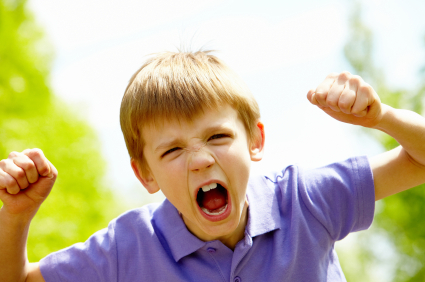 Maladaptive impulsive aggression often co-occurs with other psychiatric illnesses in children, so it can be difficult to find treatment solutions. A symposium at the 57th Annual Meeting of the American Academy of Child and Adolescent Psychiatry yielded some suggestions. Read on for an overview of impulsive aggression and possible treatment plans. At the symposium, held in New York Oct. 26-31, 2010, panelists called maladaptive aggression the “fever” of child psychiatry (because it is common but also nonspecific) and described the phenomenon as “the language of the inarticulate.” The panelists drew a distinction between impulsive aggression, which describes behavior that is unplanned, unprofitable, and poorly controlled, and another phenomenon, predatory aggression, which describes behavior that is planned, sometimes profitable, and highly controlled. The speakers on the panel indicated that impulsive aggression is related to other psychiatric syndromes including depression, attention deficit hyperactivity disorder (ADHD), mania, conduct disorder, oppositional defiant disorder, anxiety, post-traumatic stress disorder (PTSD), borderline personality disorder, autism, and schizophrenia. This raises problems for drug development, as Tom Laughren of the Federal Drug Administration (FDA) indicated in one talk at the symposium, because when new treatments are developed, they are studied in the context of only one primary disorder. Laughren indicated that he would accept applications for FDA approval of adjunctive treatments for impulsive aggression if primary treatments were insufficient to stop impulsive aggression. Add-on studies could be performed with patients already taking a primary treatment. These studies would compare the addition of the drug under study to the primary treatment versus the addition of a placebo to the primary treatment. This process contrasts with the process by which the atypical antipsychotics risperidone and aripiprazole were approved for the aggression and irritability that often occurs in autism. Each of those drugs was approved as a monotherapy (partially because there is no accepted primary treatment for autism spectrum disorders). Given the difficulties inherent in the drug approval process, the panel agreed that it is important to distinguish freestanding impulsive aggression from aggression that occurs as a function of another psychiatric condition. Examination of the context in which the aggression occurred is particularly helpful in making this distinction. The panel’s recommended treatment plan for aggression includes: involvement of the patient and the parents; a careful diagnostic workup; a method of tracking responsiveness to pharmacological and psychosocial treatments; and, if possible, community supports. Elizabeth Pappadopulos reviewed data on psychosocial interventions for aggression and found that there is strong evidence for the efficacy of family-focused therapies. The efficacy of cognitive behavior therapy for older children, i.e. those nine years or older, was also high. Pappadopulos informed the meeting that an online toolkit describes how to develop a treatment plan for aggression. Christoph Correll of the Zucker Hillside Hospital in Glen Oaks, NY reviewed the pharmacological data on treatment of impulsive aggression and concluded that atypical antipsychotics have the greatest efficacy. Atypicals had the largest effect size, followed in decreasing order by psychomotor stimulants, mood stabilizers, and lithium. He suggested a treatment algorithm (based on a previous consensus conference) that begins with treating the primary disorder with which impulsive aggression is associated, and then, if the need arises, adding an atypical antipsychotic drug. In the face of inefficacy, he recommended changing atypicals or adding a mood stabilizer and, if needed, subsequently changing that mood stabilizer. All of the presenters emphasized the importance of diaries and the systematic collection of information on the frequency and severity of impulsive acts of aggression. This can be done with the Modified Overt Aggression Scale, which is quick and easy to use. Alternatively, this editor would suggest adding a 0-10 rating of the severity of impulsive aggressive acts to the daily ratings on a mood chart personal calendar.